You all know how much I love my statement necklaces but the one accessory that I lack in my collection are bracelets. For my 30th Birthday I shared a cute cuff with you I received from my BFF. This piece is unique because it has the Morse Code for the letter “A” stamped inside the inner rim. This was a special touch because my friend and I share the same “A.W.” initials. Also one of her great great relatives developed Morse Code. Since receiving this piece back in March I’ve been on a mission to up my bangle game and I decide to find new and interesting ways to stack this piece. With a little help from my friends at JORD Wood Watches I’ve styled three ways to stack your bracelets to make an arm candy statement! Every good arm party has one thing in common, the perfect timepiece! When it comes to choosing the perfect watch I like to keep it simple. I want a timepiece that goes with everything and the unique watches from JORD are perfect. Their watches are made from handcrafted wood that is lightweight and versatile. The watch I chose to start my party is the “Frankie 35” made with Zebrawood and has a champagne colored face. The zebra like pattern of the dark and light wood make it perfect to mix and match with any array of bangles and bracelets, which makes it the ideal timepiece for any arm party! Later in my blog I will share with you how you can WIN one of these amazing timepieces so you can start creating your own perfect party! Arm Party #1: The Midas Touch- If you’re a lover of gold like myself this stack is perfect. I love the studs mixed with the wood of the watch it gives it that edgy feel perfect for pairing with a cute girls night out look! Arm Party #2: Summer Brights- Adding a little color to my party with these fun colorful bangles. This stack is perfect for a summer party with your favorite summer dress! Arm Party #3: Golden Glamour: This stack is perfect to wear with your everyday look. I've paired it with my favorite fringe block heels and peek-a-boo shoulder top for a cute #datenight look! Now that you’ve been inspired to start an arm party of your own now it’s time for the best part, The GIVEAWAY! 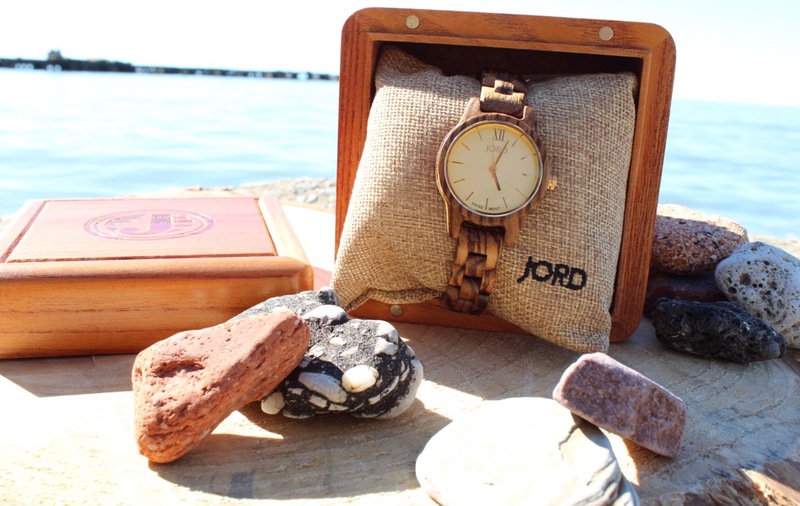 I have teamed up with Jord Wood Watches so you can start the party off right by entering to win a $100 gift certificate toward ANY watch of your choosing. What’s even better is that ALL participants will receive a $25 gift certificate toward any watch just for entering! Shop my watch HERE or find one that's perfect for you HERE! 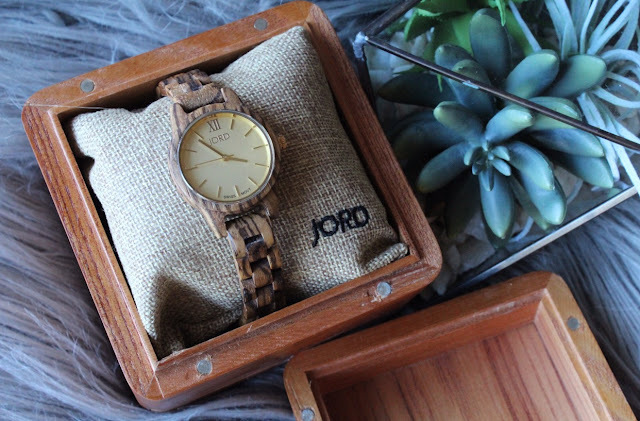 Jord also offers watch customizing which includes unique watch sizing and/or personalized engraving on the watch box. Which is perfect if you are buying a gift for a friend to help them get the party started! This giveaway will run until 11:59pm on Sunday, May 21, 2017 . Jord will choose the winner and email all participants with the appropriate gift amount. I wish you all the best of luck! 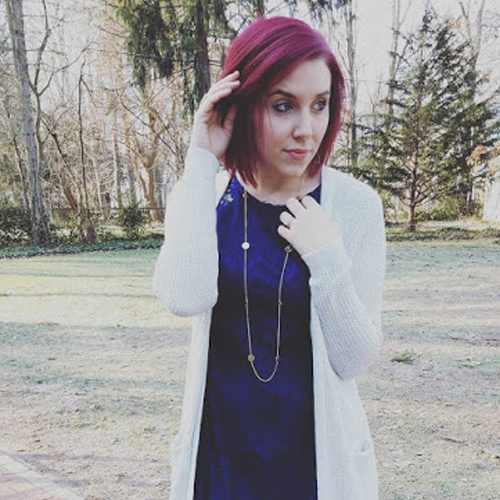 Visit "Shop My Look" Page for all the outfit details! I have expanded my denim horizons for summer by trading in my favorite pair of black distressed skinnies in for white! I am one to usually shy away from the color white. I find with my porcelain skin tone it tends to wash me out. This summer I just could not resist the urge. I’ve been seeing white denim on some of my favorite blogger babes and I had to give the denim a try. I went with a distressed white denim from one of my favorite retailers, Old Navy. I like the distressing, it gives the denim more dimension and creates a trendier look compared to just straight white denim. I also love how versatile the pants can be. I have so many tops in my wardrobe which match perfectly with white denim. It will make getting dressed in the summer a snap! Below I’m sharing some of my favorite looks I created with these alabaster beauties in hopes it will inspire you to step into the white and try a pearly pair yourself! First look is a chambray embroidered tank. 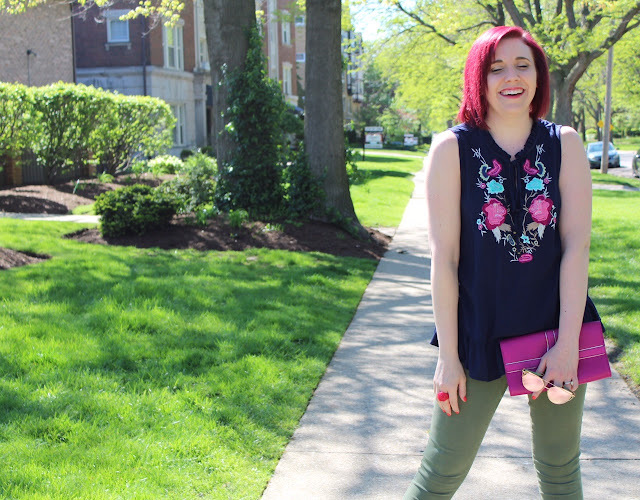 If you read my last blog you know I’m loving everything embroidered and this tank pairs perfectly with my new white skinnies and block heels. I even paired it with a gray sweater for those cooler summer nights! Look number two, this flirty ruffle blouse and my utility jacket. I find when pairing navy with denim it sometimes is a challenge to find the right shade, but with white denim it goes together effortlessly! Final look, I'm pairing white with my favorite color, black! I love this black printed top. The white denim brings out the design on the top to make a fun date night look for summer!